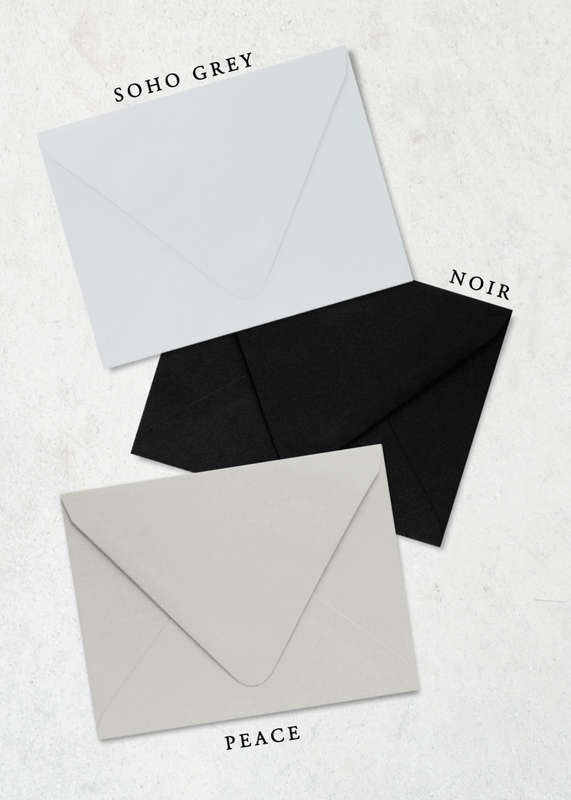 Pointed-flap color envelopes are available as an add-on for save the dates, invitations, rsvp cards, thank you notes, or event invitations. This listing includes the recommended color options for this particular suite. You will be prompted to select your envelope color upon adding this item to your cart.